Badass, like REO Speedwagon or somethin'. 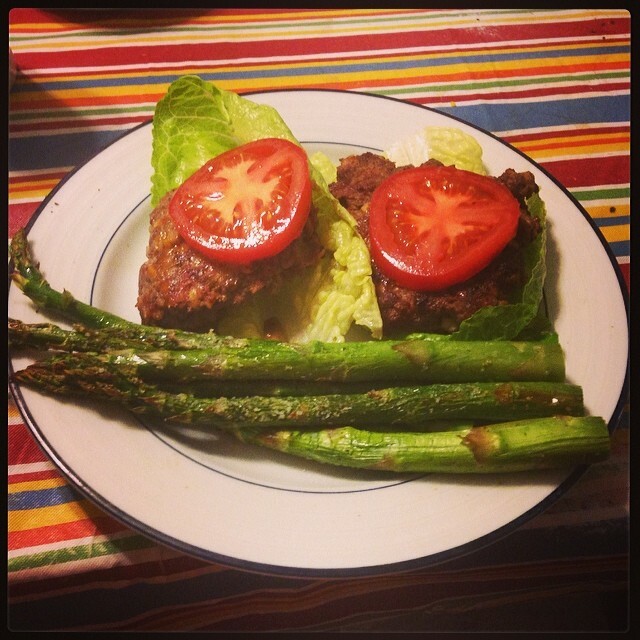 Big O Bacon Burgers from @nomnompaleo with broiled asparagus. So yummy.